Elevate the look of your table for holidays or special feasts with this durable cotton runner. 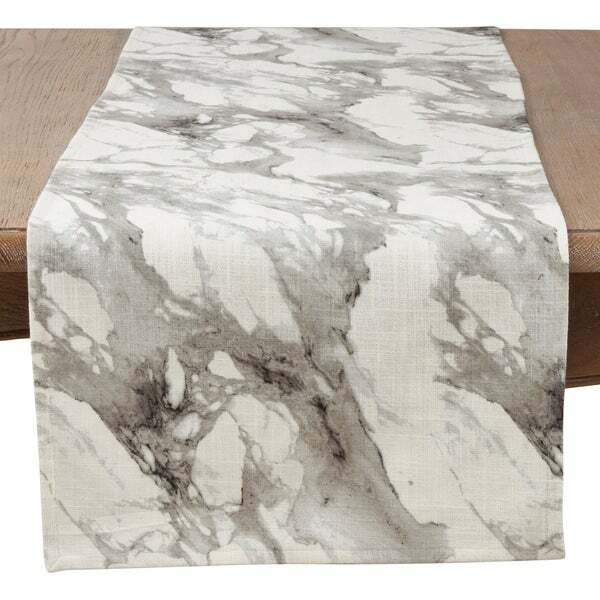 This table runner's grey print calls premium marble to mind and offers a neutral palette that readily complements a wide array of color schemes. Contemporary design, ideal for multiple occasions. Use it to create a modern table d�cor with minimalist accents.